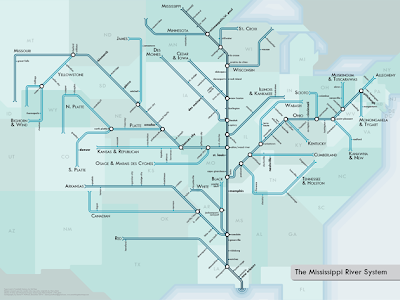 The Mississippi river system as an Underground-style map. More info here; thanks to Matt Frost for the tip. Cool! 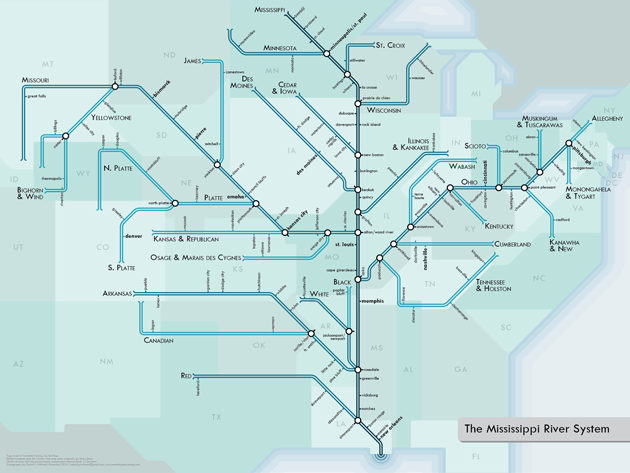 I live right near the confluence of the Osage and Missouri, so I could put my town on that map!